Beautiful, executive Mediterranean style golf front home on scenic Stoneybrook West in guarded, gated community. Large, screened deck with pool. 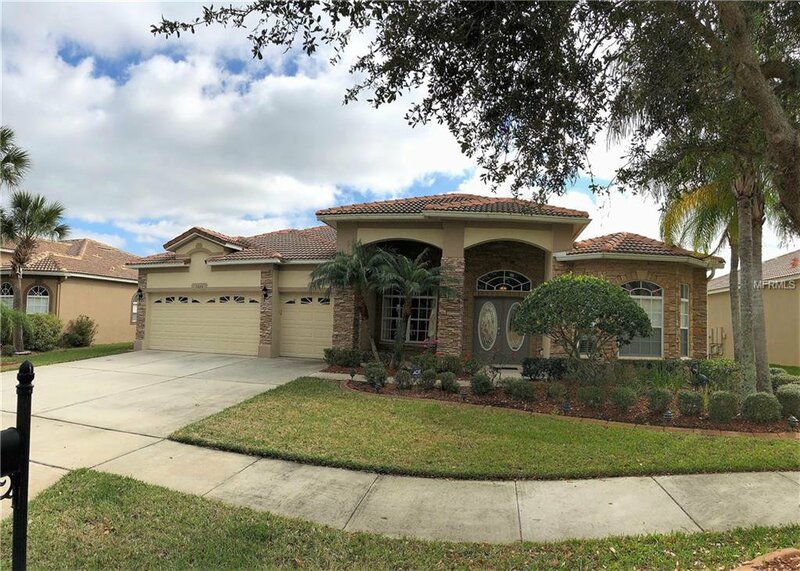 Spanish tiled roof, wood floors, stainless kitchen appliances, 42 inch cabinets with crown molding, 12 foot ceilings, decorative tile in master bath. Freshly painted exterior and pool deck. Good schools. Community center with recreational facilities built along the Lake, a boating and skiing sized lake with fishing dock and community boat ramp. Easy commute to Disney, downtown Orlando, and the airport. This home has everything you can ask for from its tall ceilings, sparkling pool with rear yard, formal living and dining room. This active lifestyle gated community comes packed with amenities to including Baseball Fields, Basketball Courts, Clubhouse, Fitness Center, Fishing Dock, Boat Ramp, Picnic Area, Soccer Fields, Community Pool, Tennis Courts, Playground, Volleyball Court. A rated schools as well, easy access for commuters to SR 429/SR 408 and minutes to Universal Studios and Disney's Resort and Parks. Winter Garden Village at Fowler Groves best shopping and restaurants. Listing courtesy of IRM INVEST., REAL EST.& MGMT.. Selling Office: YOUR REAL ESTATE ZONE INC.